This is a true story. My life is surreal. This day was the type of day that some people spend their lives hoping to live. I am nothing. Just a character in this epic story that is the greatest story of all time. I stepped into the car of David Toledo, the House Band Leader of Journey Church Guatemala. I was armed with my Bible on my hip and Jesus by my side. We were heading into the capital city in Guatemala where I was to deliver a sermon to a group of men. It was a christian rehabilitation program, and Roberto was graduating. It was to be a redemption story. So off I go… 7 months deep into this country, speaking very little of the language, deciding to use no notes as I spoke and David was to translate. This past week I listened to a message recorded from my childhood. The words of Clifford Hutchinson had reached to me across decades as I listened to him preach, "Jesus Christ, the same yesterday, today, and forever." And so I went, armed with the words of Cliff's testimony, along with my own story of adopting a baby who had been condemned to die in Russia… and how God honored our faith and restored her health. It was a powerful moment as language barriers fell and soon I was shouting and praising God with a group of men who felt fully the strength and power of a loving God. They had known weakness, and they had fought back to life. They had tapped into the power that is the same yesterday, today, and forever. It was in the moments that followed that something so significant happened that I still can not fully wrap my mind around it. While sharing styrofoam cups of authentic Guatemalan Hot chocolate that had been boiling in a large iron pot for hours… I met Marcos. Marcos was born in Guatemala, and then moved with his parents to L.A. Marcos was a man my age now. His dark black hair was perfectly cut and combed back with every strand in place. His clothes were immaculate, and his English was far better than my Spanish. He spoke softly and I felt strongly drawn to his spirit. Marcos' face was covered in blue tattoos… along with what I could see of his hands, arms, neck. His shirt was buttoned nearly to the top, but I could see that his chest was also heavily tattooed. He began to speak as I listened to his story. 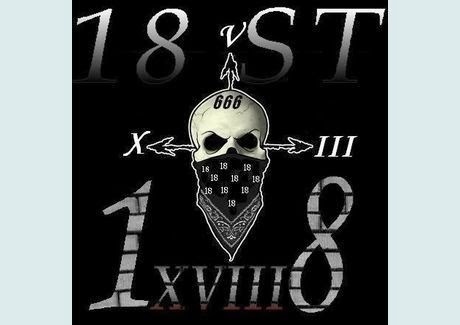 The 18th Street Gang is ranked as the #5 most deadliest gang in the world. It began in San Francisco, and is one of the two prominent gangs that make Guatemala the deadliest country in this hemisphere. The tattooed man standing and talking to me over hot chocolate is a member. I say is, because you are never allowed to leave. While he was a child in L.A., his father was assassinated by a gang hit. Marcos grew up in his father's footsteps and grew in prominence as a gang member. His face now bore the acts that gained him that status. Three tears were tattooed from his eye, along with countless other symbols. Marcos served hard time in Mexico, and in the United States. He served 18 months of solitary confinement in Leavenworth Penitentiary and eventually gave his heart to Jesus while attending a service in prison. From that moment on, his life changed. This prominent member of one of the world's most feared gangs… became a child a God and an ambassador of Christ. He made his way across the U.S., and through Mexico, crossing the Guatemalan boarder… only to have all his assets seized by corrupt agents. He made his way into the capital with 50 Quetzales in his pocket (about $8.00). He had felt God calling him to a specific inner city mission where he could reach out to the men of the 18th Street Gang. This would mean risking his life daily… trying to connect these gang members to the God who loved him. He arrived to the mission, only to find that the missionary was absent, away in the U.S. on furlough. And so Marcos lived on the street, praying through the days and sleeping on the doorstep of the mission at night… until the missionary returned, heard his story, and immediately hired him to lead the staff. Marcos now counsels and guides men from the prisons of addiction and gang violence… piecing their lives together and leading them to Christ. He was recently featured on national Guatemalan television (with his face shadowed to protect his identity) and he told his story of hope, of courage, of his conviction to reach out to save men of the 18th Street Gang… even at the very real risk of losing his own life. This is a man who was among the deadliest in the world, who now puts his own life on the line daily… to save others. I was in a fog. This day could simply not have been more surreal. I had preached a 30 year old sermon, from a giant of a man of faith from Middletown, Ohio to a room full of recovery addicts and gang members in Guatemala city. I had worshipped with a man who just a few years earlier would have cut my throat without remorse. I shook his hand one last time and I turned to the steep concrete and steel 3rd floor staircase. My boot caught the edge of uneven concrete and I began to fall. Marcos reached out and caught my arm. Our eyes caught in that moment. What kind of convergence must happen in this universe for this type of thing to take place? How great is our God that this 18th Street Gang member catches me as I am about to tumble? Had we met just a few years earlier… the outcome would have been so different. And yet… here we are, working together in Guatemala. Pastor Hutchinson… I carry your message, and so does a member of the 18th Street Gang. Hebrews 13:8 - Jesus Christ, the same yesterday, today, and forever. (Names and some facts changed to protect identities). Update: several weeks after I met Marco's, he was shot and killed outside of the mission.